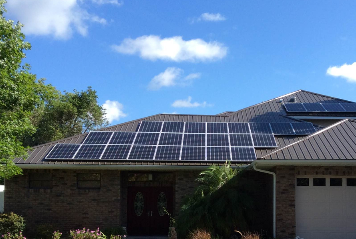 Solar Volusia is a top solar contractor in the Volusia County area, and we perform solar installs on our diverse product line in the New Smyrna Beach area. Our quality installations will improve your home or business's energy efficiency, as well as add value to you to the structure. There are two things you can pretty much count on as a New Smyrna Beach or Volusia County resident. Those are, an abundance of days where there is sunshine more than 50% of the time, and abundance of days where the ambient air temperature is very warm. 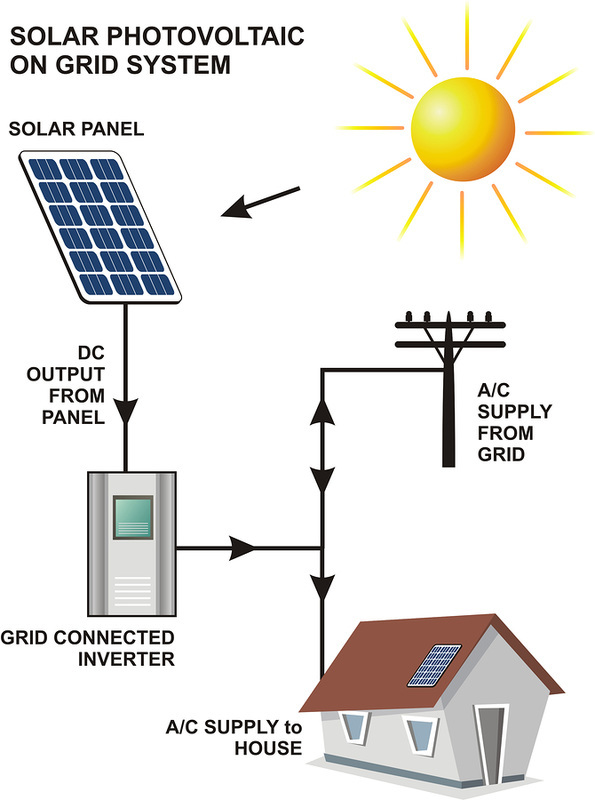 Those are exactly the two things needed to run certain areas of your home powered by solar energy products, and Solar Volusia has just the solutions to make your home progressively more energy efficient. These can either be independent systems, or supplement those that you already have. Either way, using the sun’s energy will save you a ton of money each year. Make it a priority to take advantage of this free, green and abundantly available energy source. The experienced technicians at Solar Volusia will guide you along your course of becoming an educated, active consumer of solar power products. You don't need to install everything at once, but rather to install your products over time. This is a wise approach as once you install on system, it starts to immediately pay for itself. 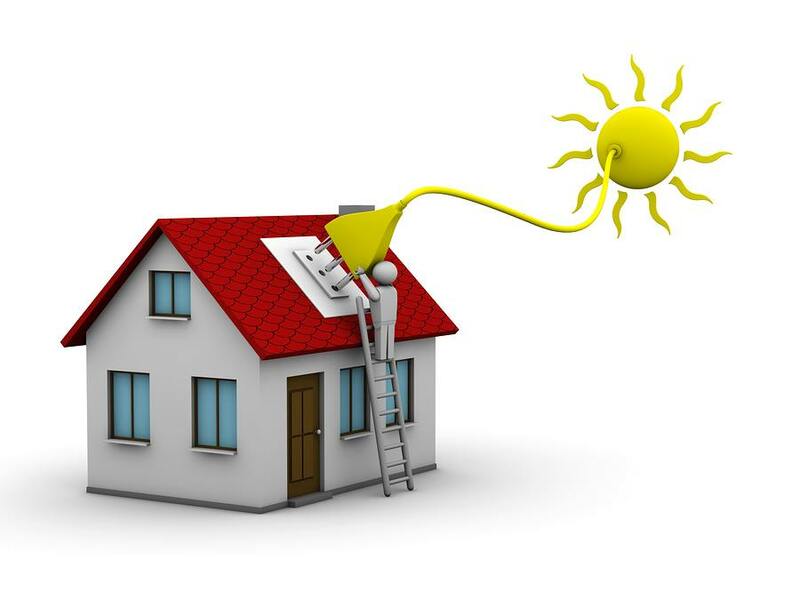 Our solar techs and staff can show you ways to save money by installing solar energy products. We can show you the savings you should expect to realize, as well the payback on your green energy investment. Combining our solar products with other energy savings will enable you to take advantage of some of the benefits and rebates that the local utility providers allow. This is not only a great way to save yourself some money but it will also lower your carbon footprint tremendously and help keep New Smyrna Beach, Volusia County, and the State of Florida as beautiful as ever, not to mention Mother Earth! As a New Smyrna Beach utility customer, you may not be aware of what exactly is out there regarding energy savings that you can take advantage of. All that is required of you to earn these savings and rebates is to follow the guidelines and have the installation of these solar devices done by a licensed professional contractor. There is what is called an ‘added insulation rebate’ which will entitle you to a rebate of 12-½ cents per square foot of living space with a maximum rebate of $375. Residents can also get 25% of the cost of installing a solar attic fan refunded to them up to $200. You will save not only on the installation but you will save hundreds of dollars a year on your home cooling bill also. If you combine these with the installation of such things as solar pool heating and solar water heating you can really save a whole lot of money on your home energy bills. New Smyrna prides itself on being a green and environmentally-aware city, and these and other rebates will enable you to take full advantage of that. Do yourself a favor and contact Solar Volusia to get more information on the rebates and other savings that are out there waiting for you. There really is no limit as to what can be done with the simple installation of solar panels in New Smyrna Beach on your property. At Solar Volusia, we have the experience and know-how to provide expert and long-lasting solar panel installation. Our solar products can be made to do such things as provide an alternative energy source to power some small things around your home (such as solar fans as was mentioned), add heat to your swimming pool, and heat the water that you use in your home also. There are enough hours of sunlight in a day in New Smyrna Beach to even run these as stand-alone devices but many people also choose to install them for use as a supplementary form of heating and energy too. New Smyrna Beach solar panels are usually installed either as a rooftop application, or have stands made that lift them slightly off the ground and angle them toward the sun. There is no preferred method between the two, as both will capture a lot of energy from the sun during the day and convert it to electricity. The only real consideration in the installation process is the rooftop application will not get in the way of any activities in your yard and it will not take up any yard space. Other than that, it is purely personal preference as to which way you choose to go. Our solar technicians can guide you on what should be the best option for your home or business. Solar Volusia can also install solar pool heating New Smyrna Beach to keep your pool warmer throughout the year, and more comfortable to swim in for you and your family. It is not prudent in Florida to spend a lot of money on heat pump or natural gas technology just to heat your swimming pool a few months a year. The gas tanks are so expensive to fill, and your solar heated swimming pool handles this task nicely and does it in a very energy efficient and cost effective manner. And solar pool heaters from Volusia Solar are maintenance free – you won't have to touch them. The solar heaters can even be run at night to reverse the heating process during the hotter months of the year; it is a very simple way to keep your pool cool and refreshing at the same time. Warming up the water in your home makes up about 30% of the cost of your utilities each month, so a solar water heater from Solar Volusia is a wise green investment. These solar powered products are among the quickest return on your investment, and given the amount of volume to heat hot water each day for laundry, dishes, showers, baths, and more, it makes a lot of sense to automate this with a green energy process. The beach and the outdoors are not the only things that New Smyrna Beach residents need to take advantage of as a benefit of living here; take the time to look into getting some solar devices installed on your home so you can experience some great energy savings and help keep Volusia County beautiful at the same time. Call ﻿Solar Volusia﻿ today at 386-319-577 for a free estimate and a comprehensive, free solar analysis for your New Smyrna Beach home or business. Let Solar Volusia install the highest quality solar power products in the market so you and your family can start saving money monthly and also increase your home's value!